The United States Mint is pleased to introduce its new line of 24-karat gold coins. Still waiting to see a gold proof. It would have been interesting if the did the 3 1/2 leg version. Pics are currently up at the mint and they are taking orders. There are lots of them out there and more coming later this year. Can't believe the Gold Buffalo was just $50 back in 2006! If only i got 100 then! 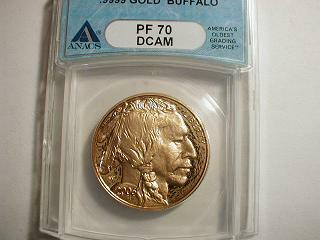 anyone knows the difference between gold proof and uncirculated coins? I can't answer yout question, but them sure are some nice coins.